Sri Lanka or Ceylon as it used to be called is the center of Buddhist religion and culture. In centuries past it was an important stop in the Silk Road trade route. Today it boasts many Buddhist temples and 15 national parks that allow tourists to Sri Lanka many cultural and natural wonders to behold. Colombo is the capital and offers travelers to Sri Lanka all the hustle and bustle of a large city. Along the way, visitors can see the Gangaramaya Buddhist Temple which is a large place of worship that is chock full of statues. Monks, paintings, halls and rooms for prayers and flower rooms as well as incense rooms all blend together to give the vacationer all the sights, sounds and smells of a real temple. This temple also has its own elephant and a Bodhi tree that has ceremonies around it each evening. The Talangama Wetland is a peaceful sanctuary in the city where tourists can see the wetland ecosystem, walk the trails and do some bird watching in the quiet confines of the park. Seema Malaka Temple is built in the middle of Beira Lake and offers travelers to Sri Lanka the chance to see a small and sparsely decorated Buddhist temple. Peaceful and serene, this spot offers visitors the chance to meditate and reflect among the pretty park lands and lake. The Colombo National Museum is one of the oldest museums in all of Sri Lanka and offers vacationers the culture and history of Asian civilizations. With lots of exhibits and things to see, this museum is a great attraction, but they lack air conditioning so it can be extremely hot inside. 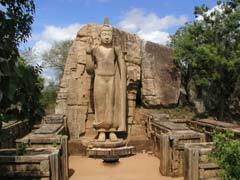 Over in the town of Sigiriya is a spectacular rock fortress complete with stone lion and old palace ruins. This World Heritage Site is located in the Central Province and has lots of great places to explore for the Sri Lankan tourist. The Lion Gate with the large carved lion, a mirror wall, spiral staircase and many frescoes are just some of the things to see at the site that was once used as a Buddhist monastery. The Avukana Statue of Buddha is located in the town of Avukana and is meticulously carved out of the large granite rock face. At 40 meters tall, this is one of the largest statues of its kind and has a history dating back to the 5th century. Sri Pada or ‘Butterfly Mountain’ towers 2,243 meters high and is located in the central part of the country. Here, travelers to Sri Lanka can see the sacred footprint of Buddha in the rocks, and enjoy the wildlife reserve with its many varied animals and plants that surround the peak. Trails take tourists up and around the mountain and the forests that are home to elephants and leopards, to name but two. Ella is a town that has lots of natural beauty like that found within the Ella Nature Trail where visitors can see monkeys, vegetation, waterfalls and birds or Ravana Ella Falls with a secret swimming hole at the top of the peak and lovely waterfalls with cool pools. A tea shop nestled in the hill at the falls makes a unique stop for thirsty travelers who are taking advantage of the many trails in the area. The Ella Spice Garden offers tourists to Sri Lanka the chance to watch natives cook with the many different spices and herbs found in the country. You can learn the recipes, watch and help in the food preparation and eat all the foods that you create. There is even a shop to purchase the spices to take home to recreate the dishes at your leisure. With 15 National Parks to its credit, travelers to Sri Lanka have many choices. The Wilpattu National Park is the oldest and one of the most important of all protected areas in the country. It is in dry zone lowlands and its flora and fauna reflect that as the lush villus that are scattered around the park are fantastic places to see thousands of birds, crocodiles, elephants, sloths and water buffalo as well as many other species. Lahugala Kitulana National Park is located in the eastern province and is the smallest but most valuable for the conservation of elephants and birds. 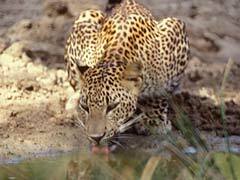 Udawalawe National Park is located between Sabaragamuwa and Uva provinces and is known to tourists to Sri Lanka for its outstanding scenic beauty. Being one of the best places to see elephants up close is the main attraction of this park that also has other indigenous species and plants to enjoy. 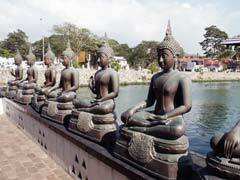 Travel to Sri Lanka allows the tourist lots of diverse things to see from elephants to statues of Buddha. For all the culture and history of the region, the landscapes and the national treasures, you owe it to yourself to visit Sri Lanka.